We provide immediate short-term medical care between hospital and home for medically fragile newborns suffering from prenatal drug exposure. Offering a format of withdrawal that combines high quality medical management with therapeutic handling in a home like atmosphere. Jacob's Hope is an interim care center that will provide a nursery designed to meet the medical concerns of a substance exposed newborn. The rooms are designed similarly to a newborn nursery you might see in a home. The walls are painted with beautiful soft colors, there's a comfortable crib or bassinet for the baby to sleep in, and a rocking chair sits in the corner of the room. There’s a sense of peacefulness in the atmosphere. Just down the hall from the nurseries is a bathing room. It is filled with diapers, onesies, warm towels and wash clothes. A small kitchen is available for the nursing staff to prepare the bottles for the babies. It also serves as an area for staff to prepare a meal or have a cup of coffee. 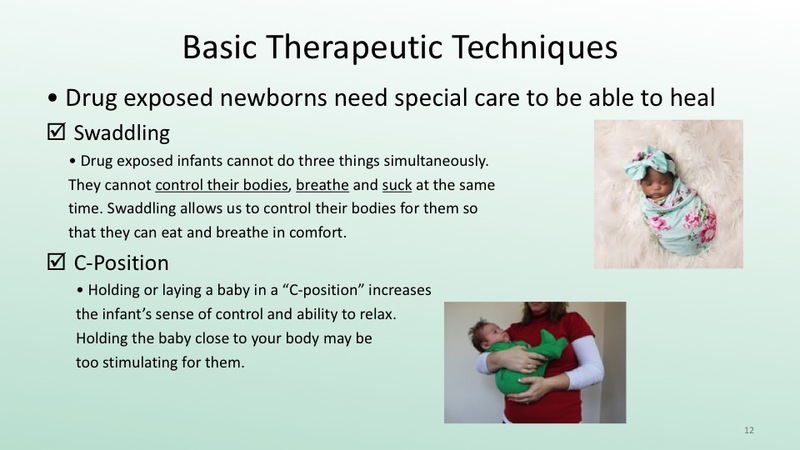 Along with our expert medical care, we will be providing specific therapeutic nurturing techniques for our babies.